then there’s the “Will I ruin my child for life?” issues, the fear that we’re not good enough or smart enough to tackle high school. And, of course, there’s the “I don’t remember a thing about calculus – how could I ever teach it?” fear: the fear that we just. don’t. have. what it takes. But let me tell you a secret: homeschooling high school is more about personal concepts that teachers can develop than it is about knowing advanced subject matter. 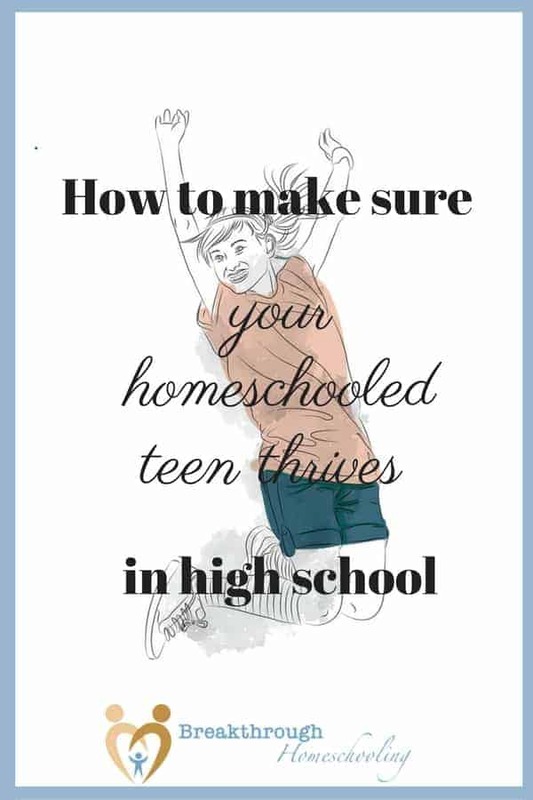 You don’t have to know it all or do it all to homeschool through high school, but you DO have to manage it all! Now let me ask you a question: why do you think teachers in traditional schools have workdays and workshops, teacher conferences, and conventions, and required annual certification classes? Because effective teachers are always learning and growing and honing their skills. Just because we don’t have a classroom full of kids doesn’t mean we shouldn’t do the same! So how can we ensure our teens thrive during high school? Well, if you’ve gotten this far in your homeschooling journey, you know by now that this gig is work. And the homeschool years are not the time to slack off! learn how to wrap it all up in a pretty package! Got all those bases covered? If not, no worries – here’s help! 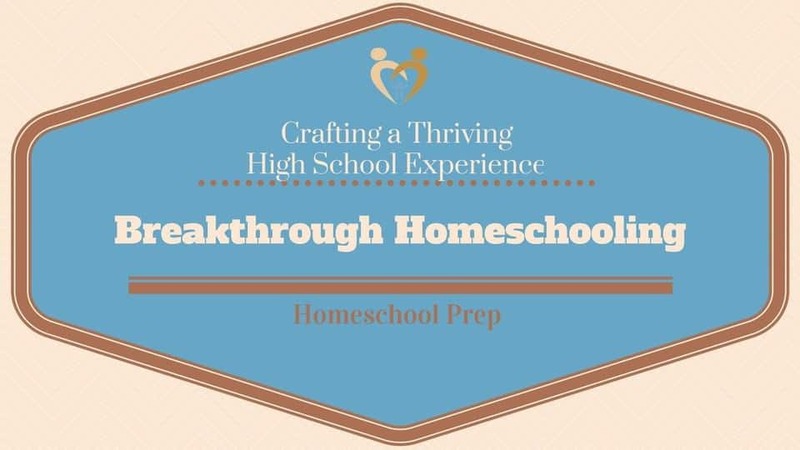 These classes are part of the series we call Breakthrough Homeschooling – Homeschool Prep, and cover everything you need to know to help your child thrive in high school – at home! PLUS, Bonus Material includes templates for all the forms and record-keeping materials you’ll need as a teacher. 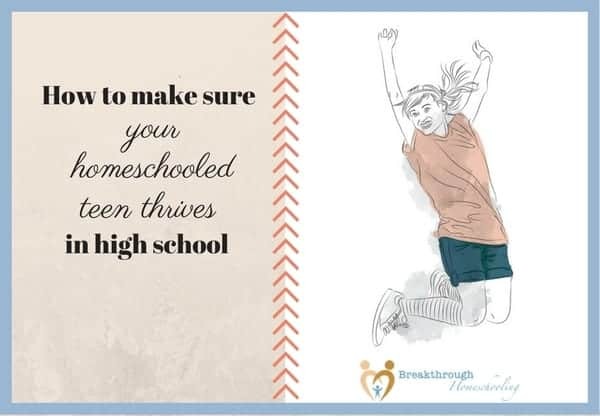 When you’re done with this course, you’ll be able to approach the high school years as a confident, professional home educator, equipped to handle the challenges these years bring, adjust your plans if and when necessary, and find joy and fulfillment in the process! 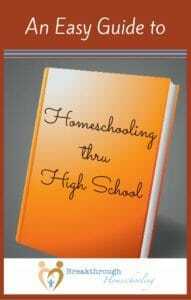 This is the last of this series – Your Easy Guide to Homeschooling High School.